What if you could use information about your existing customers to obtain new ones? That’s the purpose of Audience Insights in Google Ads. It helps businesses find new prospects based on current customer data. Audience Insights uses data from your Google Ads’ remarketing lists. Audience Insights can provide helpful details about the people on those lists. For example, advertisers using conversion tracking can turn to Audience Insights to find prospects related to your “All Converters” remarketing list — i.e., buyers. With the details from this report, marketers can expand their targeting or adjust ad bids to reach these high-performing audiences. It’s important to know that the Audience Insights report does not appear by default — advertisers must activate it. And it’s only available to Google Ads’ advertisers with remarketing campaigns. The “insights” come from an advertiser’s remarketing contacts. To locate the Audience Insights report in Google Ads, go to Tools > Audience Manager. It will be on the left side. If you aren’t running Google Ads’ remarketing campaigns, you’re out of luck. But this might be a good reason to start. Beyond advertising, Audience Insights can help with search engine optimization by identifying keywords to focus on. Consider the screenshot below of an Audience Insights report. It provides details of consumers on a merchant’s remarketing list. “In-market” describes the broad industries those consumers are interested in based on their search history and other online activity. “Affinity” describes, roughly, the consumers’ association with the in-market industry. This sample Audience Insights report provides details of consumers on a merchant’s remarketing list. Source: Search Engine Land. 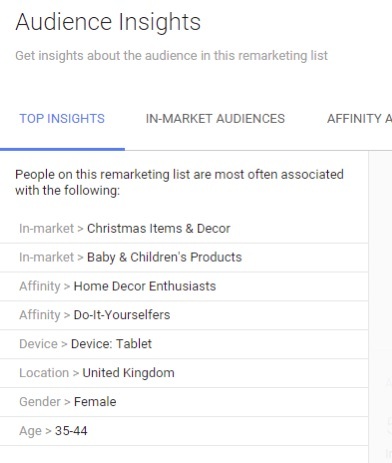 From this high-level view, we can conclude that many of the consumers on the above remarketing list are interested in “Christmas Items & Decor.” They are “Home Decor Enthusiasts” and “Do-It-Yourselfers.” If this were your report, and you sell holiday decorating items, you could create content on ideas for using your products via blog posts, videos, and product descriptions. All could appear in organic search results and appeal to relevant shoppers. Audience Insights can also show how much more frequently your users convert by category or product when compared to the typical website user. 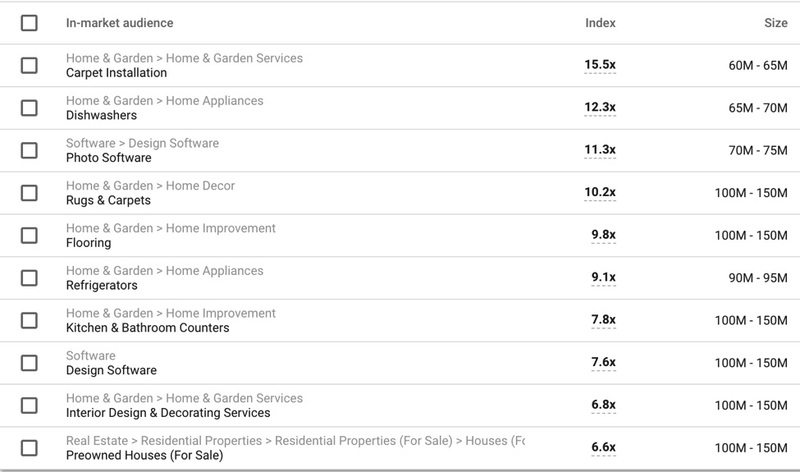 In the example below, looking in the “Index” column, note that people in the “Carpet Installation” audience convert 15.5 times more frequently than the average searcher. The “Carpet Installation” audience convert 15.5 times more frequently than the average searcher, as noted in the “Index” column. Click image to enlarge. 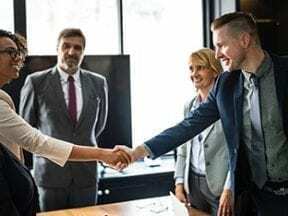 For a business that converts a large percentage of consumers searching for carpeting, it makes sense to spend money on content, such as the benefits of buying installed carpeting rather than area rugs. It could pepper more carpet-related content into guides, blog posts, and social content. However, for the same business, allocating budget to, say, a blog post about “Design Software” (with a 7.6 conversion multiple) may help users, but it won’t win nearly the same carpeting sales. Leveraging Google Ads’ data for SEO campaigns can be very helpful in my experience. Unfortunately, it’s common for SEO and PPC teams to work independently. I see it all the time; teams do not share data — in-house and at external agencies. Google has greatly reduced access to organic search data. But it’s readily available to those who pay for Google Ads. While the Performance tab in the new Google Search Console contains some of this organic data, it’s not to the level of Google Ads. If the silo exists in your company, fix it. If you work with an agency that does not share its data, have a serious conversation. SEO practitioners need to know what their potential audience wants. Every query entered into a search engine is a need. Understanding those needs helps to create relevant content. It’s that simple. I’ve heard people say that SEO produces free traffic. True, you don’t pay directly for the traffic, but it’s not free. 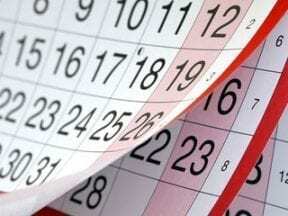 You still need to invest time and money. What better way than through Google Ads? When you’re using the “targeting” setting (such as affinity audiences, placements, or remarketing) for your campaigns or ad groups, you’re telling Google Ads who you’d like to reach with your ads or where you’d like your ads to show across the internet. Use that setting in your ad groups or campaigns to show to specific audiences or on specific content. Experiment and learn even more about your audience. Here are a few ways to continue the discovery. Apply affinity audiences to your paid search campaigns to observe how those audiences interact with your ads and your website. Create campaigns targeted exclusively to your best-performing audiences and test broader keywords or more competitive ad copy. Brainstorm content ideas that speak directly to your best audiences.